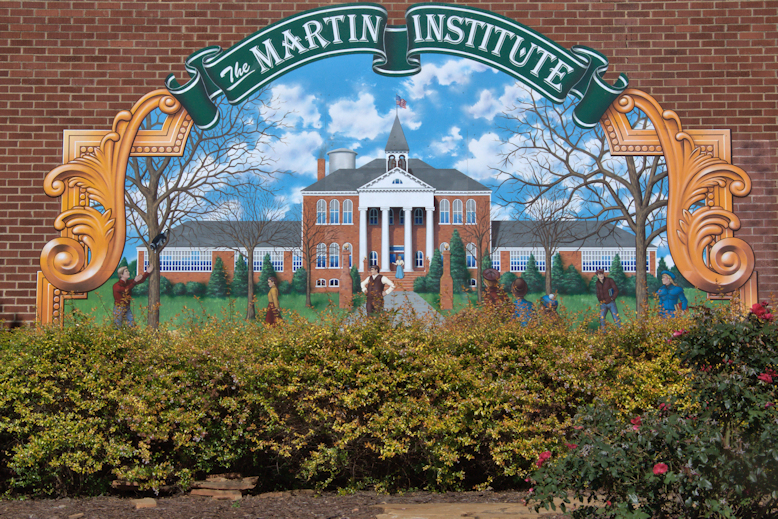 This mural in downtown Jefferson commemorates the Martin Institute, a coeducational center of learning first established as the Jackson County Academy in 1818. The name was changed around 1860 upon the bequest of a large monetary gift by the late Inferior Court Judge William Duncan Martin. The original home of the institute was burned in 1883 and replaced by the structured depicted here in 1886. The school’s reputation reached far beyond Jefferson; U. S. Supreme Court Justice Joseph Rucker Lamar was but one of its distinguished alumni. The Institute served the community until 1942, when it was the victim of an arsonist who turned out to be the son of the Jefferson Police Chief. What was the name of the police chiefs son? Why did he decide to burn the school down?